In this exclusive audio broadcast Emmy Winner Charlotte Robinson host of OUTTAKE VOICES™ participated in a media call hosted by the National Gay Blood Drive and the Progressive Change Campaign Committee with Congressman Jared Polis (D-CO) and Congressman Alan Grayson (D-FL) urging the FDA to lift the requirement that gay and bisexual men be celibate for a year before donating blood. Since the LGBT massacre in Orlando, Florida more than 130 members of Congress have signed letters asking the Commissioner of the FDA to remove the requirement including Senators Tammy Baldwin (D-WI) and Elizabeth Warren (D-MA) who are leading the effort in the Senate and along with Rep. Polis leading the effort in the House are Rep. Barbara Lee (D-CA) and Rep. Mike Quigley (D-IL). In addition, a grassroots petition by National Gay Blood Drive, the Equality Federation and the PCCC has raised over 12,000 signatures stating that scientific evidence does not support this ban and that screening should be based on behavior and not sexual orientation. According to a study published in the Columbia Medical Review the one-year celibacy requirement is outdated and ignores that all blood donations are thoroughly tested using the latest technology and scientific advancements. The AIDS Research Institute calls the policy discriminatory and “not really supported by the facts.” Over 4.2 million eligible blood donors are affected by the requirement. 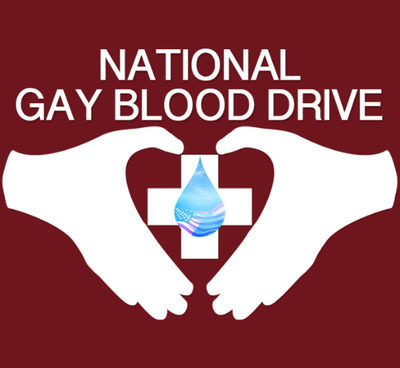 That was very cool to hear from the decision-makers what they are doing to stop discrimination in regard to who can and cannot donate blood based on outdated, hate and ignorance-based guidelines. Thank you.